Distressed urban neighborhoods face challenges on multiple fronts, but most efforts to confront these problems work in isolation of one another. The New Communities Program (NCP) is an exception, helping selected Chicago neighborhoods develop partnerships to address challenges involving employment, education, housing, and safety in a comprehensive, coordinated fashion. In each community, a local intermediary brings together organizations to plan and then to implement varied improvement projects. A 10-year, $47 million MacArthur Foundation initiative developed and managed by the Local Initiatives Support Corporation of Chicago (LISC/Chicago), NCP emphasizes this relational approach by building collaborations as a "platform" for broad and sustained improvement, even as local conditions change. MDRC leads the NCP evaluation with collaborators at the University of Chicago's Chapin Hall, Metro Chicago Information Center, and Wayne State University. 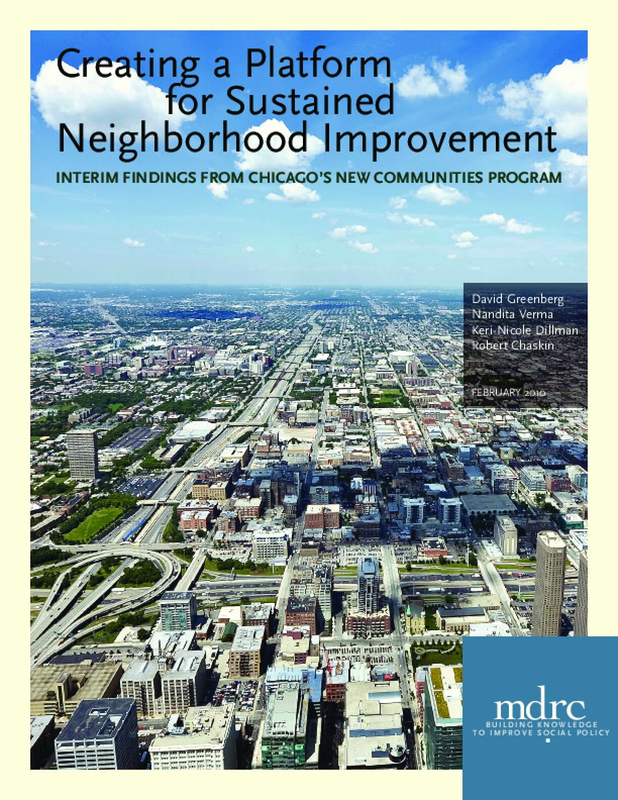 This interim report focuses on NCP's rollout and early implementation years, examining community conditions, how local groups worked together, and projects completed through 2008. The report shows that NCP has successfully managed planning and implementation of many different projects to help address varied local problems.